What's your reaction when you hear the word "Direct Selling", "Multi Level Marketing (MLM)" or "Network Marketing"? Some people swear they'll never be associated with any MLM product. They may have some bad experiences with one or two MLM companies in the past. Because of that, they tell others that all MLM companies are bad. Do you know that Multi Level Marketing is actually an unconventional (as opposed to a traditional) business opportunity and marketing method? 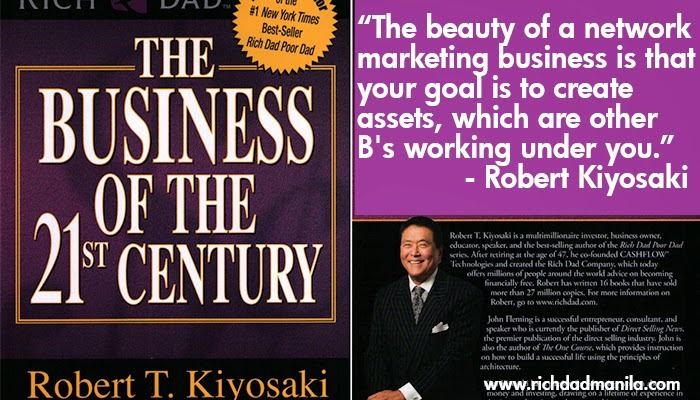 As Robert Kiyosaki says, it's The Business of the 21st Century. 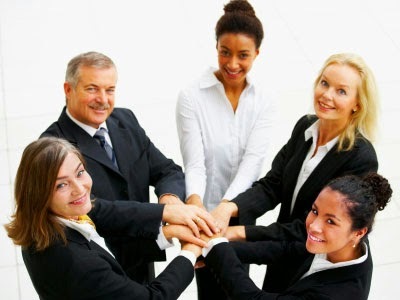 Let's take a look at some of the Characteristics of a Genuine MLM. Hire celebrities to endorse the products. Hire professional advertising firms to design the advertisements. Hire workers to put up the advertisements on mass media. Do you wonder who pays for all these advertising costs? You - the consumer! Even with so much money being spent, advertising is getting less effective as the medias get more and more cluttered with increasing ads. A genuine MLM company spends nothing on advertising. Instead, the money saved on advertising is paid to You, the distributor, if you choose to get involved in the business. Further, the products are distributed directly to consumers, unlike conventional marketing routes, which go through many levels of intermediaries such as importers, sole agents, district agents, wholesalers and retailers. before arriving at your doorstep. More money is saved, which will flow to You. MLM offers equal success opportunities for everyone, regardless of their educational background, race, age and whether they were previously successful in other businesses. It is fair as it rewards those who are hardworking and willing to learn. Hence with MLM, people can achieve success beyond their wildest dreams, regardless of when they embark on the MLM business. As MLM offers opportunity for anyone to grow their business through a network of downline distributors, this means you can leverage on other people's efforts to build your wealth. This is called the Power of Duplication. You only have 24 hours a day. But using the MLM business model, you can duplicate to as many hours as you want. This is even more easily achievable if the MLM company provides high quality educational system. You can learn all the skills needed to do the business and the right attitude and mindset to conduct the business successfully. It is easily duplicable in all countries. In MLM, you're not alone in your quest for success. Your upline leaders are always there to guide you and mentor you to build a sustainable network and business. Their strong encouragement and guide are invaluable for your long term success. It's very important for you to follow your upline and learn from their proven methods. Consumers can get direct service, product information and usage guide from the distributors. They have someone who services them personally and cares for them. In health care, consumers may receive encouragement and support in each stage of their health improvement. This often results in lifelong friendships. Even though MLM sounds like an ideal business model, there are downsides. Now let's have a look at why some people have a bad impression of MLM business. 1. Pyramid Scheme or MLM? Watch out for this. Pyramid companies are illegal and will never last. Have you heard of this? Become a member for RM2,000. You just need to recruit 2 new members and you'll get RM2,500. You get your investment back plus a RM500 profit. Sounds good? So, your 2 new members must go on to recruit other new members to profit. Theoretically, when everyone in this world becomes a member, no new membership is possible. The cycle must end eventually. People at the top of pyramid schemes profit the most. Their money is from people at the bottom of the pyramid. Greedy and lazy people always get caught in this scheme. Nowadays, many people are more educated to avoid this trap. However, a different breed of pyramid scheme now lurks. The products are too expensive with little value. You don't need it and you won't buy it if not for the money-making opportunity. You must keep on recruiting new members to profit since there won't be any repeat purchase from existing members. The membership fee is quite high comparatively and is justified only with the opportunity to make money. These companies will eventually disappear together with all Your effort and money. The heart of any MLM company is the founders. What they do affect its direction and growth. Some founders care more about their own pockets. As they know the MLM model is so profitable, they simply create a system, get some products and recruit distributors to market it. They may be selling the products at high prices or the products may be inferior in quality. Eventually, when the false promises are never realized, problems begin. Finally, the company closes. The founders get rich, leaving behind frustrated distributors and customers. Decision - Should You Choose MLM? Enjoy the benefits of quality products at lower prices. Build your own business and career using a proven system. Eventually enjoy Financial Freedom + Time Freedom + Good Health. If you intend to build your MLM business, start small. Keep your full time job and slowly build your network. Usually, you may not see any profit during the first few months. But with the right attitude, effort and commitment, your skills will improve. And your network will slowly grow. When your profit is significant and stable, you can consider embarking full time on your MLM business. Are the products effective and give you all the benefits that are claimed? Is the company a reliable business partner with credible leaders? How is the education system and is it easily learnt and duplicable? Is the marketing plan fair and sustainable? Remember, there are good and bad MLM companies out there. Looking for a good MLM opportunity? Come and explore Shuang Hor Business with me. It satisfies all the 4 criteria listed above. It has been around since 1987 and is expanding even faster now. As you stay longer in this business, the effort required of you reduces whilst your income keeps on growing. I have never regretted my decision to come take a look at Shuang Hor. It may be the vehicle you're looking for too, to achieve your dreams and success. Email me at askfuiping@gmail.com to find out more.